“I was told you were a man of true grit.” Those are the words of Mattie Ross, a 14-year-old force of nature who could just as easily be describing herself. Turns out she’s speaking to Marshal Reuben “Rooster” Cogburn as played by Jeff Bridges, continuing his never-ending upward career trajectory. While Mattie (newcomer Hailee Steinfeld) may be young in years, she has the steely determination of someone far older. She has traveled to Fort Smith, Arkansas, to bury her father and to avenge his killer, Tom Chaney (Josh Brolin), a decrepit simpleton traveling with a bunch of outlaws. This is the Old West after all, a place where—no pun intended—it’s an eye for an eye. (In fact, Rooster happens to be missing one.) The marshal has a history of violence, with a bloody trail in his wake. Early on at an inquiry, he is cross-examined by an attorney about his renegade style. He might be a drunk and a cad, but he’s also a marksman and believes in his own brand of justice. 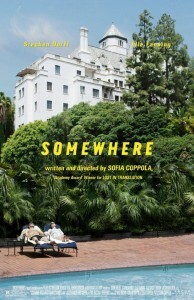 In the opening moments of Sofia Coppola’s fourth film, “Somewhere”, the camera is trained on a car driving in circles—a Ferrari, to be specific. The scene goes on for more than a few minutes, and it presumably puts us in the state of mind of our main character, Hollywood actor Johnny Marco, played by Stephen Dorff. Life for Johnny has become tedious and meaningless. Almost always seen with a beer and cigarette in hand, the scruffy bad boy is so bored that he can barely keep his eyes open during a private pole-dancing performance in his room. That room is at the Chateau Marmont—the location of much past Hollywood debauchery (John Belushi died in one of its bungalows), and where most of “Somewhere” takes place. While Johnny gets plenty of opportunities for meaningless encounters, deeper relationships come harder. In addition to the strained relationship he has with his ex-wife, he’s also been getting pejorative texts dispatched from an anonymous source. The Oscar-winning writer/director talks about film making craft, spare storytelling, and her new film “Somewhere”, starring Stephen Dorff and Elle Fanning. 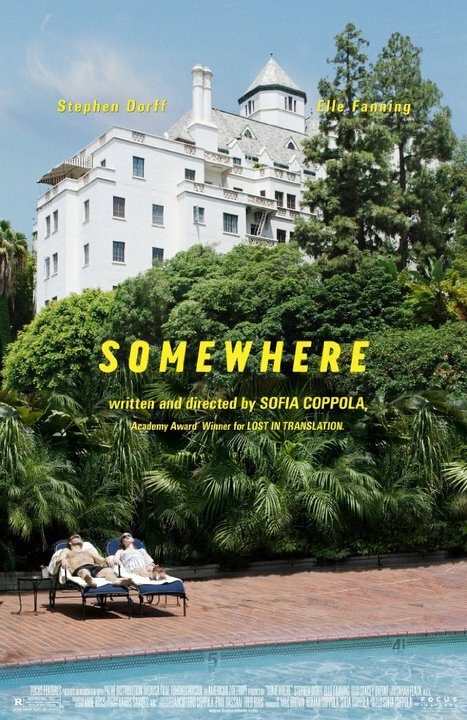 In her fourth film, “Somewhere”, Sofia Coppola (“The Virgin Suicides”, “Lost in Translation”, “Marie Antoinette”) tells the story of Hollywood bad boy Johnny Marco, who lives at the famed Chateau Marmont hotel in Hollywood. To say Johnny (Stephen Dorff in career comeback mode) “lives” might be a bit of a exaggeration; when he’s not in his car driving to some studio obligation, he is anesthetizing himself in one manner or another. All this comes to an abrupt stop when Johnny’s ex drops off their tween daughter, Chloe (Elle Fanning) for a prolonged visit before summer camp. The visit awakens Johnny and helps him start putting his life back together. While watching “Somewhere”, one can’t help but wonder how much might be culled from the director’s own life. That said, Coppola’s life has hardly been fodder for the tabloids; in fact, she lives a fairly quiet life in Paris with her musician husband and their two daughters, the younger of whom who was born quite recently. When you meet Coppola in person, you’d never know that she was Hollywood royalty or that she is the third woman (and the first American woman) to be nominated for an Oscar for Best Director. Thoughtful and soft-spoken, she sat for a round table conversation to talk about her newest movie, which opens this week. Q: Can you describe your writing process? Mike Leigh has been directing films about workaday Brits for 40 years, and his latest, “Another Year”, is no exception. The story of happily married Tom and Gerri—portrayed by Leigh stalwarts Jim Broadbent and Ruth Sheen— doesn’t amount to a whole lot of action (as is par for Leigh’s course). Rather, the film is a collection of moments, many of which are shocking in both their simplicity and their humanity. 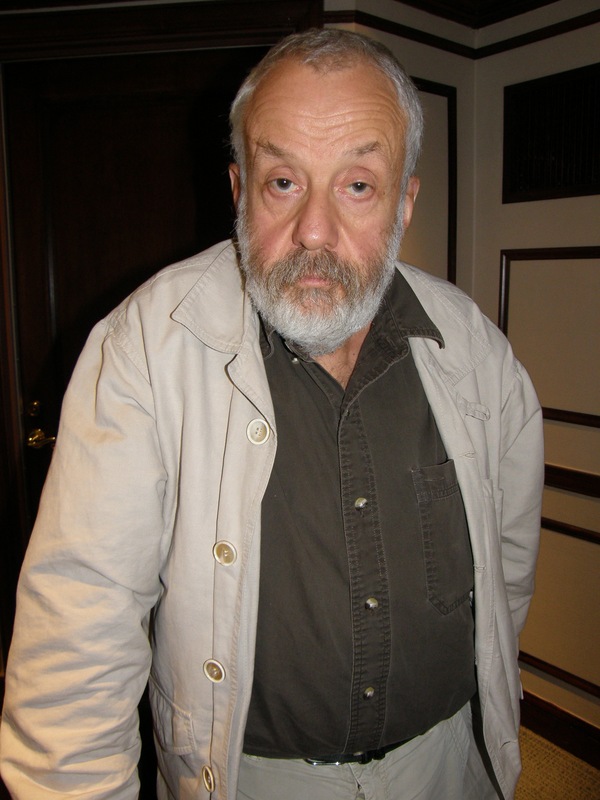 Leigh sat with us after a New York Film Festival screening this fall, a festival that has been home to a number of his premieres, including recent successes Happy-Go-Lucky and Vera Drake. 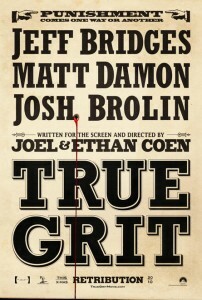 Tribeca: I know that you, Stephen Frears, and Ken Loach all came out of the same period at the BBC. And you’ve also done plays. Were you doing theater concurrently with teleplays? We were freelancers, Ken Loach, Frears and I. 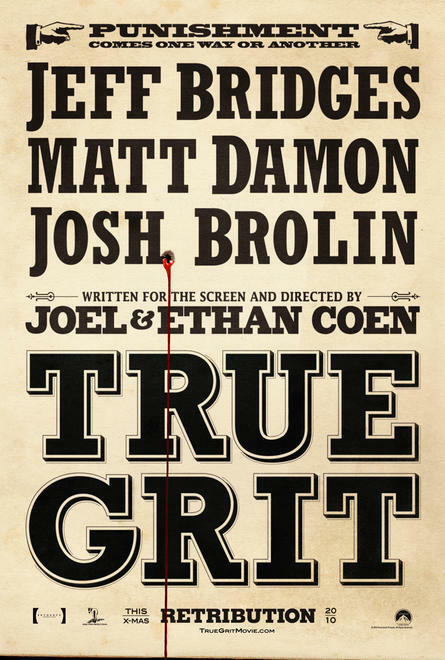 At the time we grumbled that we weren’t making feature films, but the truth is that it was a golden age. We had complete freedom. I mean, these were in-house productions shot on 16mm. They weren’t made to the highest motion picture standards, but they were films. 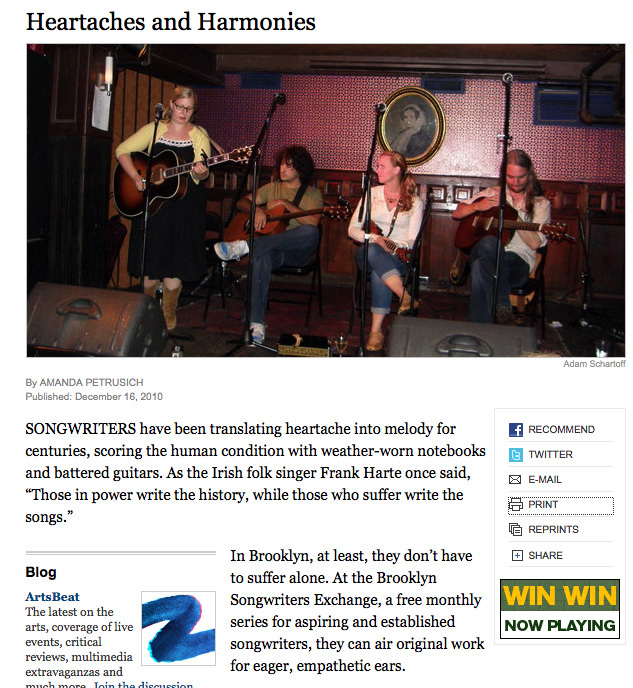 But the great thing was you had carte blanche on what they were about—and you had an audience. 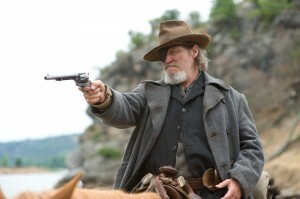 Jeff Bridges appears to be on a hot streak. 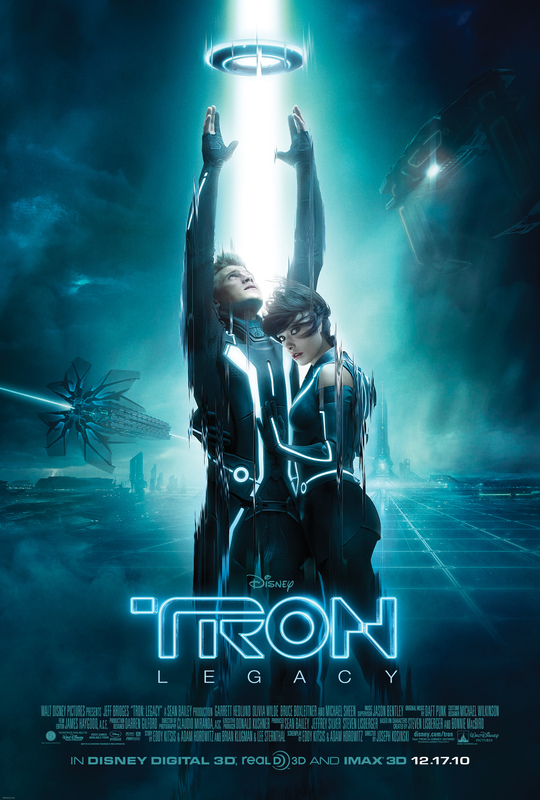 Coming off his Oscar-winning success in last year’s “Crazy Heart”, he is back with the Coen Brothers’ remake of “True Grit”, and has not one, but two roles in “Tron Legacy”, the long overdue follow-up to the 1982 film he originally starred in. This sequel has earned the distinction of being the most belated of all time, releasing 28 years after the original! The big question is, was it worth the wait? Well, yes and no. The movie has an undeniable likability factor—that being its earnestness and respect for the original film—the first CGI movie ever made. And, to its credit, it never feels like it’s gearing up to be some hokey franchise like, say, “Pirates of the Caribbean”. There are just enough funny moments and cool effects to keep one interested. And, of course, there is Mr. Bridges. 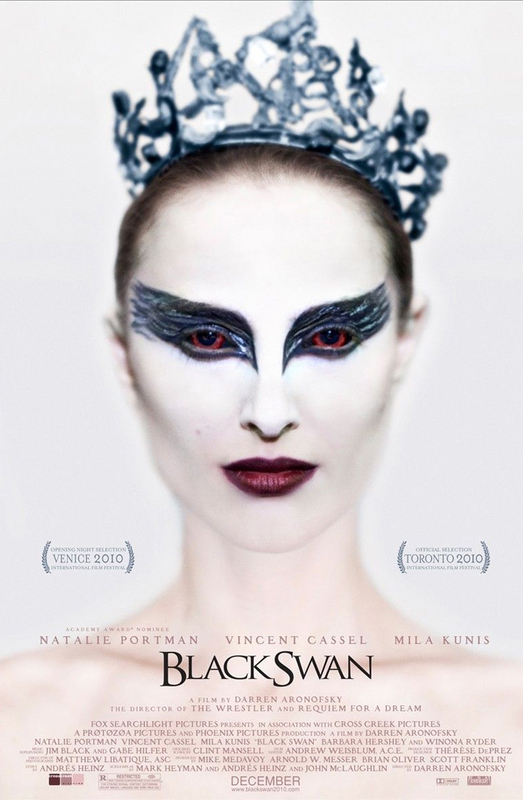 The often grandiose but cold “Black Swan” centers on a precious and virginal ballet dancer, Nina (Natalie Portman), a contender for the lead in a prestigious New York ballet company’s latest production of Swan Lake. Only the lady killer artistic director, Thomas Leroy (Vincent Cassel), stands in the way of her getting the lead. He has decided to replace the company’s aging prima ballerina (a still too-young Winona Ryder) with a younger, promising new star. 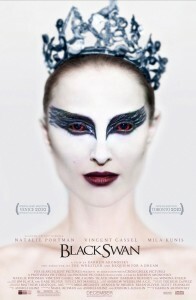 He knows Nina can technically handle one half of the duality the role calls for, that of the elegant White Swan, but he’s skeptical about whether she can play the darker swan (that’s the one in the title). Nina wants the role desperately, to the point of returning Thomas’ flirtation. When he makes a move on her and kisses her, she bites into his lip, and she lands the role.